Spanish platform Comunitae has stopped operations indefinitely due to fraud. Several SMEs hat placed fraudulent offers on the marketplaces. The management says this was helped by inside fraud and they have expelled a risk analyst and initiated legal action. Comunitae was founded in 2008. The problem was detected this October. While no figure of the monetary damage was given, management says the default level caused was to high to continue as investor demand dwindled. FinBee, a Lithuania based p2p lending platform, has started to expand internationally by launching in the Czech Republic. By 2020, FinBee plans to begin operations in another two European countries. FinBee will provide personal lending services for residents of the Czech Republic as well as for investors from across the entire European Union. The company expects that during the first year of operation, 50M CZK (1.94M EUR ) will be distributed via the platform. The Czech Republic’s business environment, as well as the possibility to launch with experienced local teams, were among the main reasons to launch in this Central European state, CEO of FinBee Laimonas Noreika said. Payday loan companies offering loans with high interest rates play a significant role in the Czech consumer lending market. Noreika emphasized that borrowers are looking for opportunities to refinance expensive loans. 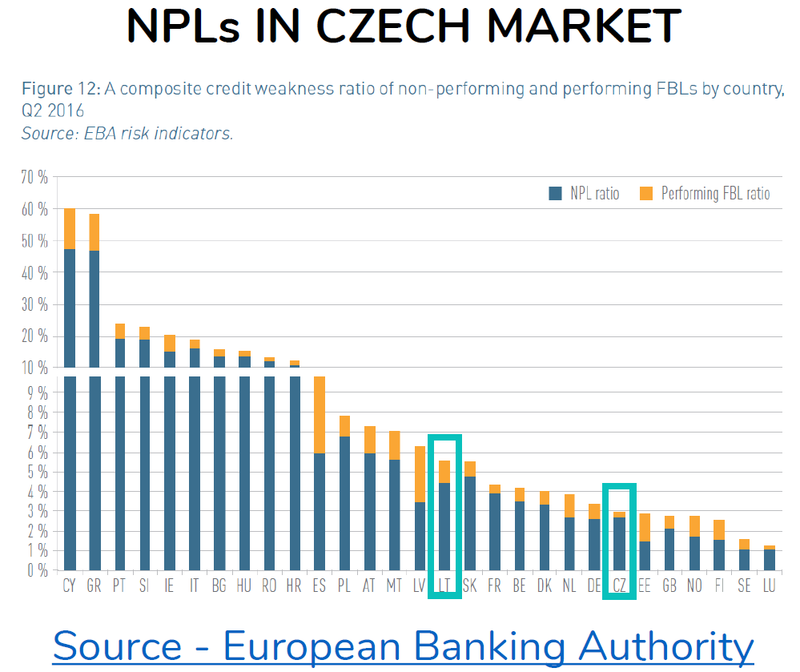 According to Noreika, one of the main challenges in the Czech market will be borrower credit risk evaluation. In the Czech Republic, there is no centralized credit rating agency or government-issued database for credit risk evaluation. Therefore, this needs to be manually extracted from several sources. FinBee provides services to borrowers and investors in Lithuania and the Czech Republic. The company started operating in Lithuania in 2015. Wow, 5 years have passed since I first started to invest into p2p lending at Bondora in October 2012. I periodically review my experiences in this blog – you can read my last update here. Over the total time I did deposit 14,000 Euro and withdrew 17,800 Euro. So over time I withdrew more than I ever deposited, meaning 3,800 Euro realized profit. Even better: I still have 604 loans in my Bondora portfolio with an outstanding principal of 7,467 Euro at an average interest rate of 23.78%. Of these 2,746 Euro are in current loans, 778 Euro in overdue loans and 3,941 Euro in 60+ days overdue loans. Some of this very overdue loans do in fact make very regular monthly payments, albeit smaller than the planned payments in the original payment schedule – it will take much longer for the loan to be repaid. And of course many of my red loans are duds, which haven’t made a single repayment and it is unlikely any recovery will be achieved. There is 43 Euro cash in the account. New investors cannot expect to achieve similar yields. Interest rates are much lower now than when I started and I achieved a portion of my profit by trading loans on the secondary market at premium. If you want to start on the Bondora p2p lending marketplace now, consider using the Portfolio Pro autoinvest set to Estonian loans only with AA to B (or C) credit grades. Maybe try some Finnish loans with better credit grades too. Bondora originates roughly 3 million Euro new loans per month. There is no cash drag, usually available amounts get invested very fast. Chart 3: Cumulative all time development of my portfolio by credit grades 2012-2017. Remember I only deposited 14,000 Euro. The high 76,698 Euro given as total investment is a result of reinvestments and active buying and selling of loans. UK p2p lending marketplace Crowdproperty is currently pitching on Seedrs to raise 600K GBP from the crowd at a pre-money valuation of 5.9M GBP. The Crowdproperty marketplace was launched in 2014 and the company has since funded 10.7 million GBP in property loans. All loans are secured by a first legal charge against the property. The company says no investor has incurred any losses so far. The company received full FCA authorization in October 2017. Crowdproperty states it has unique proprietary access to the largest property network in the UK, the Property Investors Network (pin), which provides competitive advantage in terms of high quality deal origination and has enabled the proof of the business with limited marketing investment to date. 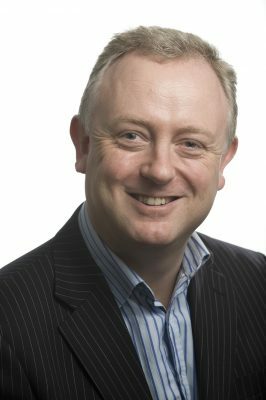 CEO Simon Zutschi told P2P-Banking: ‘I am delighted that we have now proven this model of helping successful property developers to fund their projects, whilst helping investors gain a secured return on their money. All of the recent project launches have been quickly funded up by our eager and loyal base of lenders, which clearly demonstrates the traction we have built in our brand. Over the last year, we have focused on our platform technology and processes, and now we are ready to scale this business to its full potential. This will not only benefit our lenders, but also help and support SME developers, who often struggle to raise funds from hesitant banks, to access the essential funding they need to help reduce the UK housing crisis’. 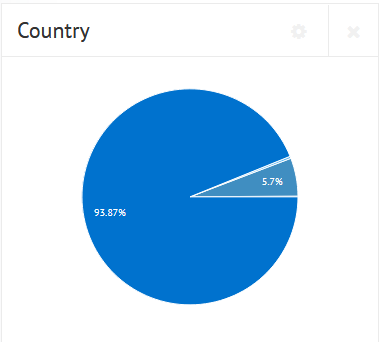 This p2p lending statistic contains the loan originations of p2p lending companies for last month. Funding Circle leads ahead of Zopa and Ratesetter. The total volume for the reported marketplaces adds up to 539 million Euro. 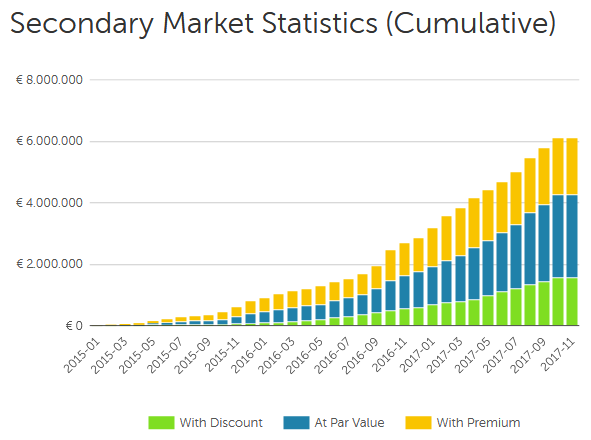 I track the development of p2p lending volumes for many markets. Since I already have most of the data on file, I can publish statistics on the monthly loan originations for selected p2p lending services. Thincats reached the milestone of 250 million GBP loans originated since launch. This month I added Bolden. What is Assetz Capital about? Assetz Capital is now the UK’s second-largest peer-to-peer business and property lender and also the second largest in Europe. Since 2014, we have been providing competitive loans to credit-worthy SMEs and attractive returns to investors. We provide fairer and more accessible business lending to small and medium sized businesses and property developers throughout the UK. Since our launch, we have lent more than 350 million GBP to credit worthy businesses whilst providing returns of 30m GBP to our investors using a number of automated investment accounts that earn gross rates of return between 3.75% – 7% per annum and also permitting manual lending at rates often above that. Almost all funding to date has come from retail investors and maintaining support for retail investment is one of our business aims. Firstly, we only lend to businesses who we assess as credit worthy businesses with tangible assets. Tangible security is taken for each and every loan – which is unusual for peer-to-peer lenders – in order to reduce the risk of capital losses for investors, while also lowering the cost of borrowing for businesses. We also deploy traditional credit assessment techniques rather than rely solely computer-based borrower assessments, meaning our processes are fast, meticulous and human. 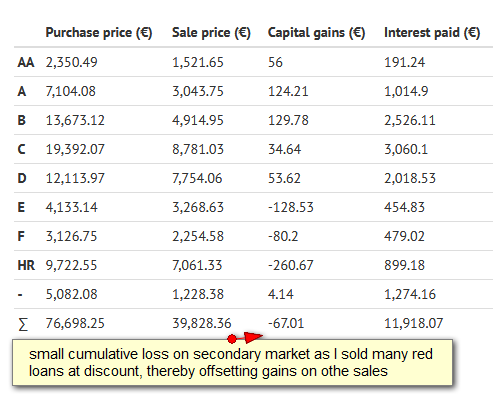 As a result of our processes, Assetz Capital’s expected loss rates are amongst the lowest in the industry (currently standing at just 0.35% across our live loan book). Secondly, we cater for all types of investors. In the past four years, we have experienced strong annual growth year on year, and have attracted a wide set of sophisticated and consumer retail investors, as well as attracting family office and institutional investment. We believe it is because we have demonstrated excellent credit skills and loan performance, while delivering strong net yields. Thirdly, we are also the only major UK P2P platform to still offer a manual investment option. This allows investors to choose exactly which borrowers to lend to, allowing them to cultivate a bespoke investment portfolio and choose appropriate levels of risk in their investments. For those wanting automated accounts, we offer a wide selection ranging from our Access Accounts to a Green Energy Account, all of which cater to those with less time to invest. This combination of accounts offers the type of control that an individual investor may require, allowing people to pick and choose from a wide range of individual loan opportunities, and also the ability to automatically lend if they are time-poor. Assetz Capital has been providing small and mid-sized businesses with flexible and quick access to funding for future business and employment growth with competitive rates. Rather than being just a website with automated credit assessments, Assetz Capital is run by finance, banking, credit and lending professionals with huge industry experience, alongside our large UK-wide network of employed Regional Relationship Directors who visit potential borrowers and help structure the loans. I believe that this is unique to the P2P industry, and is reassuring to both business borrowers and lenders that behind the technology and website there are actual, qualified humans with relevant experience to help structure good quality transactions. Borrowers really appreciate the ability to structure their loan requirements face to face with experienced professionals instead of encountering the “computer-says-no” problem of today’s banking industry. We’re also a lean business, and as such we have lower overheads than traditional lending institutions. Coupled with the fact that we only lend to credit worthy businesses holding tangible assets, this means our cost of borrowing for businesses is kept low. With the uncertainty that has come with Brexit, we have found that our platform is overcoming some of the issues which many UK businesses are currently facing. We believe that fixed rate loans offer businesses a stable way to predict part of their finances, regardless of external market conditions. Brexit may put pressure on banks to reduce loan availability or raise rates substantially, but alternative finance providers such as Assetz Capital are continuing to offer fixed rate loans. What ROI have investors made on average on the platform in the past? As a business, we are totally transparent with our top-line numbers, and these are updated live in a prominent position on our website. In just over four years, investors on Assetz Capital have collectively earned gross returns of around 30 million GBP on their investments, relating to more than 350 million GBP in loans to date. We have a big announcement at the beginning of November that further endorses these results. Assetz Capital has succeeded in growing loan originations sharply in the past 12 months. How did you achieve that and were intermediaries like brokers a major factor? While much of our loan origination is organic, brokers have also played a vital role in referring many small and medium sized businesses to us. To date, more than 350 successfully funded projects have come through brokers, and we predict that this will grow to approaching 1,000 by the end of the 2018 year. In fact, this has been so successful, we are actively working to increase our broker network significantly in the next two years, and have recently revealed a strategy to further support brokers through a number of methods. For example, our network of nationwide Regional Relationship Directors is supporting more brokers locally. We are also offering new product and pricing improvements to further build our relationships with brokers. Our face to face approach is very much liked by brokers and their borrowers alike and this is also a factor in our success, as is the experience of our team. What will the soon to be launched Assetz Capital IFISA offer? Will it offer the same range of investments and interest rates as currently? Will the IFISA be flexible? Now that we have achieved full authorisation from the UK regulator, the Financial Conduct Authority (FCA), we are preparing to launch our Innovative Finance ISA (IFISA), which should be ready by the end of 2017. While I can’t reveal all the details at time of writing, it will be highly flexible as it is an extension of our very successful model. There is no intention to have any ISA fees for normal transactions and we also intend for our main lending investment accounts to also be available at the same rates in the ISA. We also intend to release our next generation investment dashboard that we believe will keep it at the forefront of the industry. Will you soft launch it to existing investors first or will it be open to all from day one? We will open the account to all comers straight away, not just existing investors. I heard Assetz Capital is profitable? Can you walk me through some of the key facts of the financial side of the company, please? Very few FinTech businesses are even close to breaking even, so it was a momentous day this year when we proudly claimed we made a seven-figure profit (GBP) for the last financial year to March 31st 2017. I believe that this is a testimony to our business model where we refuse to believe fast growth should be at the cost of profit and cashflow. 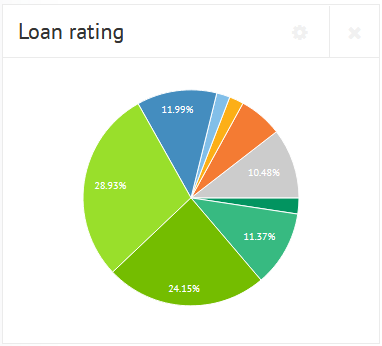 While several others built their loan books up quickly with a more lenient approach to credit and very substantial levels of outside investment to cover trading losses, we took a more cautious approach to credit risk and built our entire business on an initial seed funding round of 1m GBP and Series A equity raising of just 5m GBP more. We have now lent similar levels to the whole of 2016/17 year in the first six months of this year and also booked profits of around the same as last year in this period. We have a healthy balance sheet and have just announced a new Series B equity raise that will bolster it further. You are currently raising 1 million GBP through a crowdfunding for equity round on Seedrs. What will you use these funds for? We had a very successful raise of 3.2m GBP on Seedrs in 2015, and now we are looking to fund a number of short-term capital expenditure projects, which are aimed to help the company continue its substantial growth. We believe that this may well be the last one prior to an institutional investment round or IPO but we will keep this under review and are really pleased to have not just delivered thousands of people great levels of interest through our platform but also delivered hundreds of investors a strong equity growth also as a result of the Series B being priced at 250% approximately of Series A carried out two and a half years ago..
What are your views on Brexit, the impact on UK fintech in general and on p2p lending in particular? With the many political, regulatory and economic twists and turns of 2017, uncertainty continues. While many of those involved in business and investment are nervous, there are others benefiting and seizing on opportunities. Since the Brexit vote, no one is really sure of what the longer-term impact will be on businesses, investors or the UK market in general, however from the P2P market perspective, this has been an important year to further solidify its stature and firmly place it as a viable alternative to banks for both investors and borrowers. We see that Brexit has actually had a positive effect on P2P, and all indications signal that the industry will benefit further in 2018 as a result of banks seeming to entrench somewhat ahead of the outcome being more visible. The impact on wider Fintech is more varied and we see a disincentive to set up in London to some degree for some businesses but for those here I expect they will take a wait and see approach. The possible loss of the ability to ‘Passport’ UK regulatory permissions across Europe or vice versa could be the major loss for companies intending to operate both here and in Europe. The main issue is that the result of the Brexit vote is still some way off and indeed it is entirely possible we could see a continuation of the recent economic strength if Brexit turns out well economically and some real challenges if it does not. It is too early to call but the former would be my expectation on balance. Where do you see Assetz Capital in 3 years? Assetz Capital will continue to grow, to offer new and innovative products to investors and borrowers, and to hold true to our founding principles of fairness to all our stakeholders including investors, borrowers, shareholders and staff. We have already seen growth of around 100 percent year on year since 2014, and we believe that this rate will continue. We have very ambitious plans for the business, and certainly we see ourselves in three years as becoming one of the leading secured lenders to creditworthy businesses looking for additional funding as well as one of the top few P2P platforms for investors looking for choice, flexibility and fair, risk-adjusted returns. We want to be recognised as being a real contributor to the economic success of the country, on several levels including helping house building volumes increase to address the housing shortage, helping businesses grow and increase employment, helping private investors earn more from their hard-earned capital, helping institutions deploy capital on market-leading risk return ratios and finally helping incentivise and contribute to a greater quality and breadth of financial education in today’s society. P2P-Banking.com thanks Stuart Law for the interview.